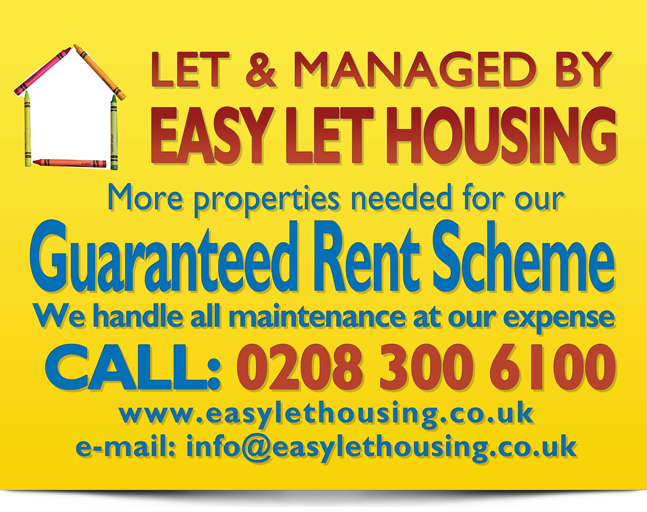 Easy Let Housing is a private company that currently manage over 100 properties in and around London. Having being in the business of property letting and maintenance for over 30 years, we have acquired and sustained a very happy client list. We offer a full range of services to meet all requirements. Easy Let housing accept properties ranging from studio apartments to block management and everything in between. Our philosophy at Easy Let Housing is if you look after your tenants, they will look after your property. Please call now for a no obligation quote.